Sometimes, you do not want all of your users to have access to your data. Use IP controls to limit permissions. 1.1) Navigate to /myoffice/system in eBoss. 1.2) Scroll down until you see the IP Address Control switch. 2.1) Switch the controls to "ON" (1). 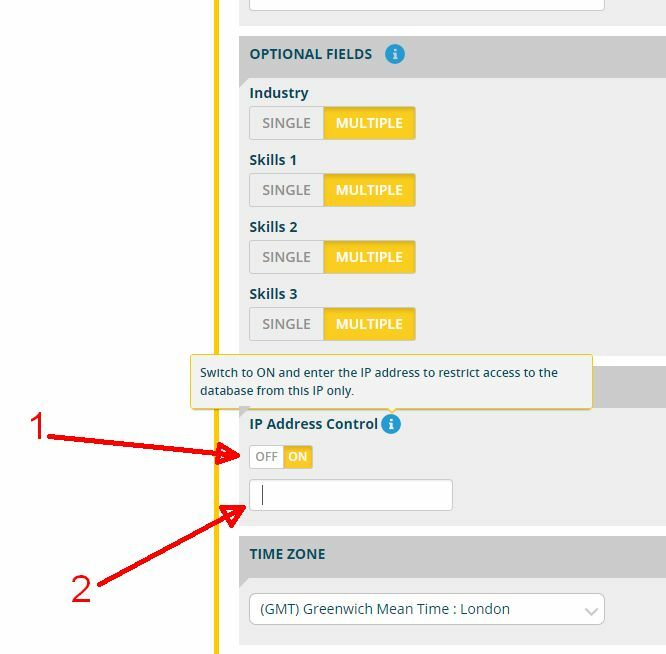 2.2) Enter the IP address(es) you want to continue allowing access for, in the field below (2).